I've re-joined the IWSG after a disappointing turn last year in remembering to post on the first Wednesdays. I'm not very good are remembering these sorts of things but decided to give it a go again with more dedication and focus. Sound familiar? You can find the fine cast of insecure writers here. Today, I'm feeling pretty secure. That means, it is time to look deep into the well of anxiety and bring out something that can put us back in our normal place. Most of us will never win one of these. I hope none of you are even writing to try and win one. Motivation for the writer is internal ... but look: shiny! Part of knowing your genre is knowing how recognition is awarded. For we crime writers: a list. Agatha: awarded to the best traditional. Anthony: attendee-selected award at Bouchercon. Arthur Ellis: a Canadian crime-writing award. Barry Awards: Awarded by the readers of Deadly Pleasures at Bouchercon. Dagger: Tea drinker? This is the award for Brits. Dilys Award: Presented by the independent bookseller's association at Left Coast Crime. Edgar: MWA award. Looks like Poe on a good day. You've read "The Purloined Letter" recently, haven't you? Hammett Prize: N.A. branch f International Independent Booksellers for English Language works. Hillerman: S.W US based 1st novel as selected by St. Martin's Press. Lefty Award: humorous crime. Left Coast Crime. Macavity: Selected by members of Mystery Readers International. Ned Kelly: Australian crime writing, naturally. I don't know if New Zealand counts. Nero Award: best in the style of the Nero Wolfe stories. Shamus: Private Eye Writers of America. 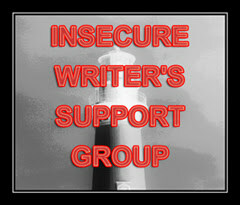 Thriller: International Thriller Writers Association. Wow. That's quite a list. Considering I have no hopes of ever holding one of these gems (unless I manage to land a dinner invite from someone who is actually a decent writer), this is quite a challenge to security. I'll trudge along grinding out my draft, hoping my characters find an audience, and hoping my mayhem is sufficiently interesting. We're all just one good revision away from the mantle full of trophies! I prefer giant golf checks, myself.